Simple Hands: A Weekend In The Sun. Happy Monday! We had a lovely weekend with friends and family enjoying the beautiful weather! We started Tiger Cub soccer two weeks ago and let me tell ya, the first day was rough. It was a little chaotic and way too new so the majority of the three year old parents suffered in public as a group. But by the second week things were MUCH smoother. O participated and had fun. He also acted like a three year as you can see in the photo but it was still fun. Then we promptly headed out to join friends for our annual camping trip. The husbands were out the night before so we went to meet up for the day. The kids played hard, ate lots of snacks, and explored while the adults laughed and hung out together. It was so fun. We are lucky to have good friends with lots of kids to make group activities fun! 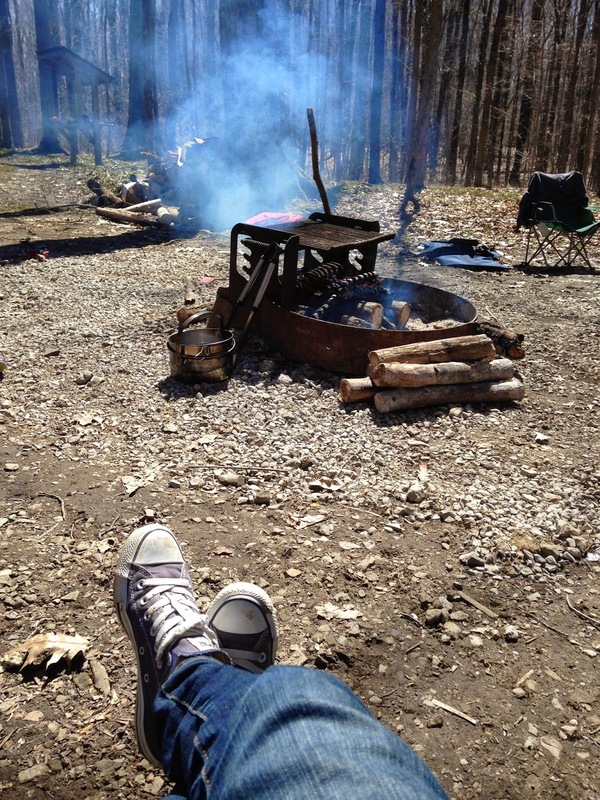 The breeze was cool but the sun was warm and I took full advantage and made sure my camp fire seat was in a full sun spot. O loves the tent and spent a lot of time in there rolling around and being a goof. Sunday morning we woke up at home, got a visit from the Easter bunny that resulted in the immediate need to play with his new bath toy for about an hour in the tub! We headed outside to enjoy the sun before Easter brunch and O decided that he was absolutely going to ride his bike all the way to his grandma's house. The walk was really nice and he actually rode about a mile before he needed Papa to rescue us in the car and drive the rest of the way. 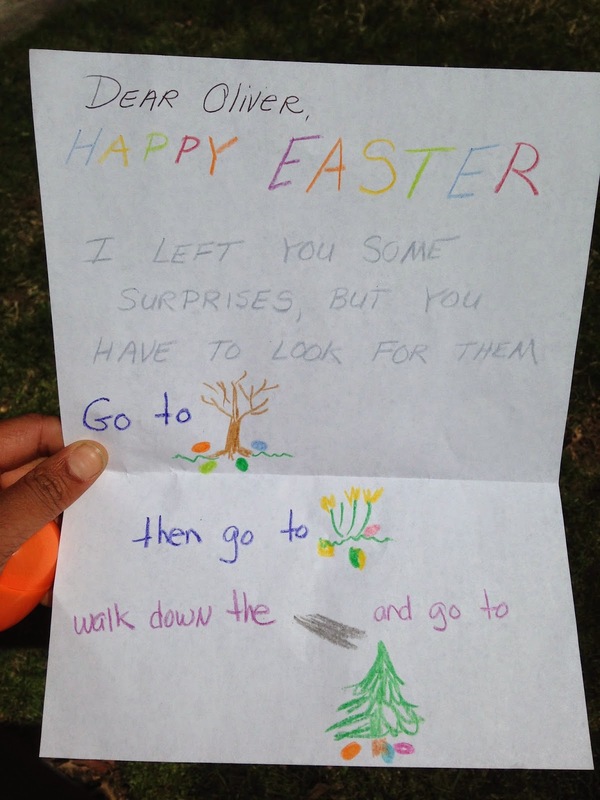 We had a lot of fun on the cute egg treasure hunt that the bunny left for him at grandma's house. And he orchestrated a great play time with all the adults in the front yard. We had a great family time and then spent the rest of the day in our backyard.